In Asia, Japan +0.2%. Hong Kong +0.3%. China -0.2%. India +0.6%. In Europe, at midday, London +0.1%. Paris +0.1%. Frankfurt -0.1%. Futures at 6:20, Dow flat. S&P flat. Nasdaq -0.1%. Crude +0.4% to $64.65. Gold +0.3% to $1305.60 Bitcoin -1.3% to $5176. Today is Cycle Day 3 …Price is little changed in overnight trade as consolidation continues within bullish uptrend. Upside cycle objective measures 2908.50. 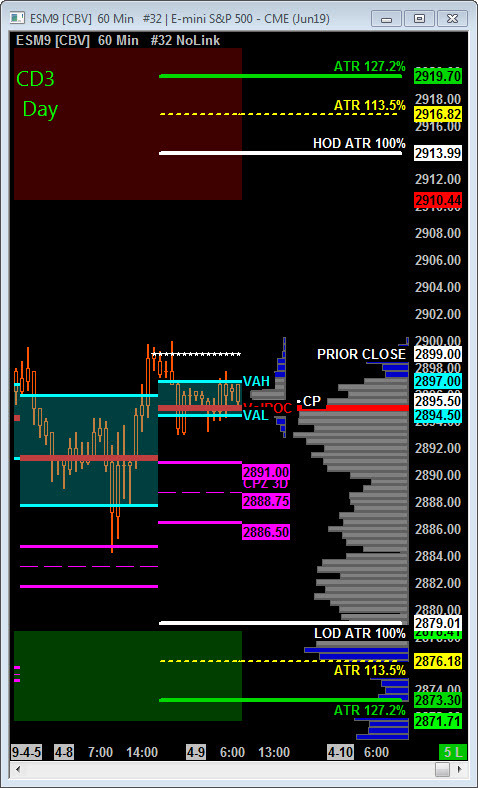 Scenario 1: IF Bulls hold bid above 2999, THEN initial upside target measures 2905 – 2908.50 zone. Scenario 2: IF Bears hold offer below 2999, THEN initial downside target measures 2888.75 – 2886.50 3 Day Central Pivot Zone. Today is Cycle Day 3…Price is little changed in overnight trade as consolidation continues within bullish uptrend. Upside cycle objective measures 7636.50. 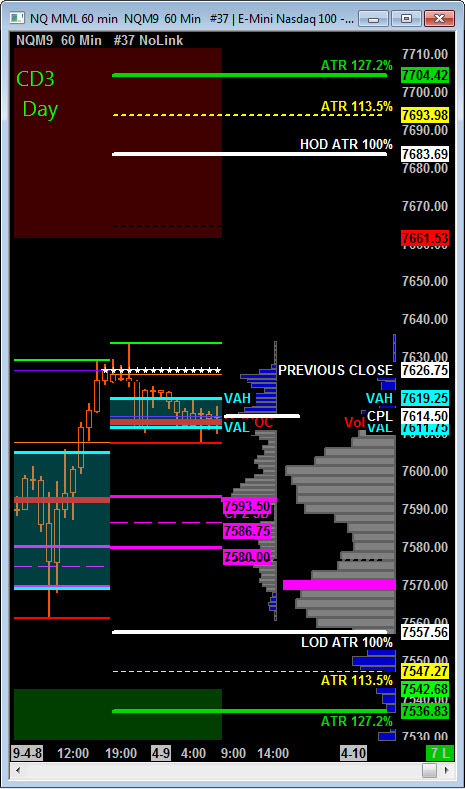 Scenario 1: IF Bulls hold bid above 7626.75, THEN initial upside potential targets 7636.50 – 7651.00 zone. Scenario 2: IF Bears hold offer below 7626.75, THEN initial downside targets 7593.50 – 7586.75 3 Day Central Pivot Zone.